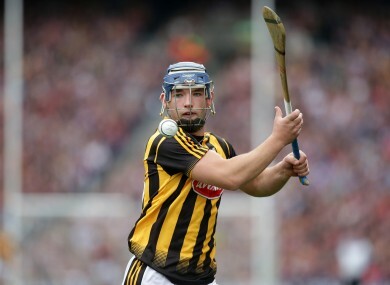 There are fears the Kilkenny man may miss some of this year’s championship. Ger Aylward during last year's All-Ireland final. A SCAN ON 2015 Allstar forward Ger Aylward has revealed he picked up a cruciate knee ligament injury during his club’s All-Ireland Junior semi-final win over Dungourney of Cork at the weekend. The news comes as a further blow to Brian Cody’s attacking options for the season after the retirement of Richie Power last week with some fearing the 23-year-old could miss Kilkenny’s entire 2016 campaign. It’s also a big loss for Aylward’s club Glenmore as they get set to take on Eoghan Rua of Derry in the junior hurling decider on 7 February. Best wishes to Ger Aylward @GlenmoreGAA in his recovery from cruciate injury. Email “Injury rules Ger Aylward out of All-Ireland junior club final”. Feedback on “Injury rules Ger Aylward out of All-Ireland junior club final”.